From $600/month – min. 1 month – Max. 4 – Available NOW! 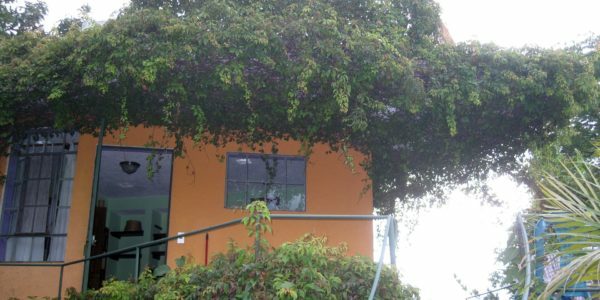 Casa Pumpkin is a beautifully decorated 2-bedroom home with a private garden near to Santiago Atitlan. 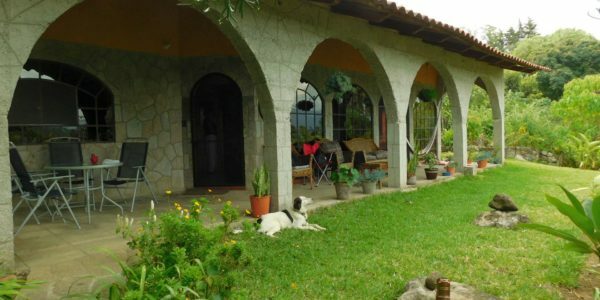 It is one of 4 homes on a large, lake-front property, so guests have access to Lake Atitlan and can use the owners Canadian canoe if they wish. The house is entered from the garden into a corridor. Off this corridor is the main living area with a fully-equipped kitchen, a dining table, living area and fireplace. French doors lead out to a large covered terrace that looks onto a lush, private garden area. Here there are further relaxing seating areas. Also off the corridor is the amazing bathroom – a piece of art in itself! A large double bedroom with plenty of closet space and a door leading into the garden and a private patio area with seating. At the far end of the corridor is another room that can be used as an office space or second bedroom. 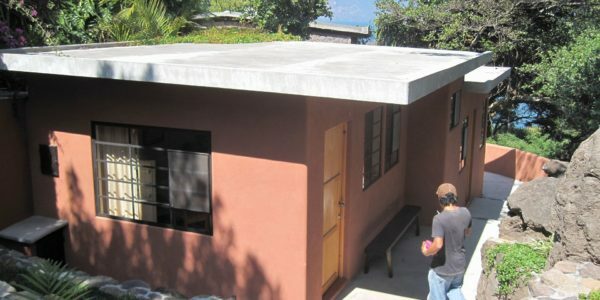 Santiago Atitlan is the largest village on Lake Atitlan and is becoming more and more popular with renters and foreigners choosing to live here. 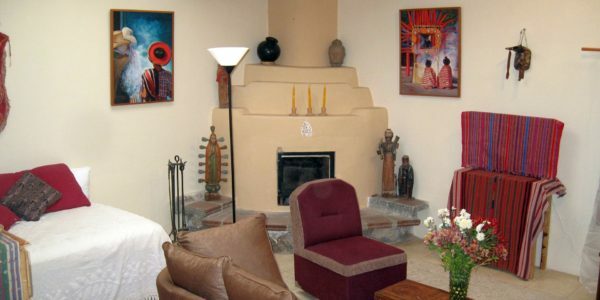 There are yoga classes nearby and a Spanish teacher who will even come to the house to give economic, private classes. 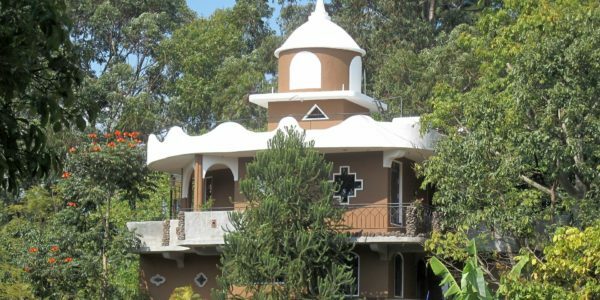 The property is a short walk along pathways from the main road into Santiago Atitlan and about a 10 mins tuk tuk ride into the centre of Santiago and the public dock for boats to Panajachel (Pana). 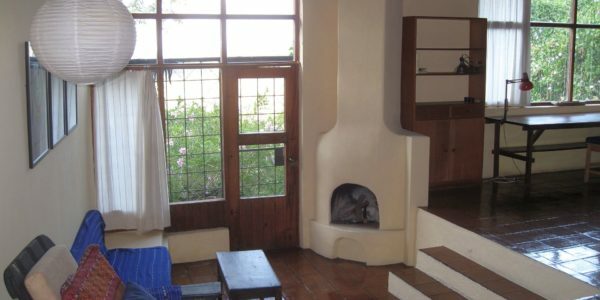 Also on the property is another 2-bed, Casa La Ceiba, and a small 1 bed Casita El Pyramide.